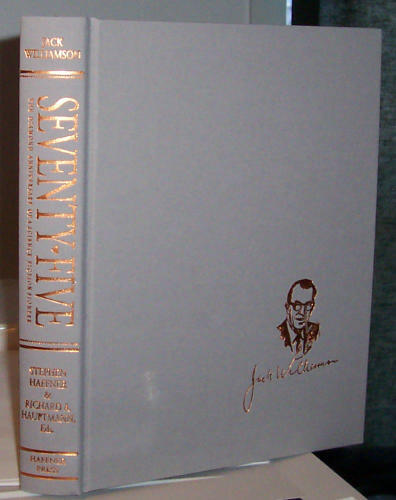 A literary and visual feast, this 8.5″ x 11″ 603 page hardcover celebrates the first seventy-five years of Jack Williamson’s career in Science Fiction. 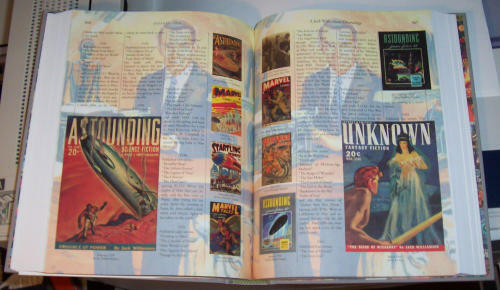 From “The Metal Man” in 1928 to his recent Hugo and Nebula Award-winning novella “The Ultimate Earth,” inside are some of the best of Williamson’s stories, including excerpts of such classic novels as The Legion of Space, Golden Blood and The Legion of Time. 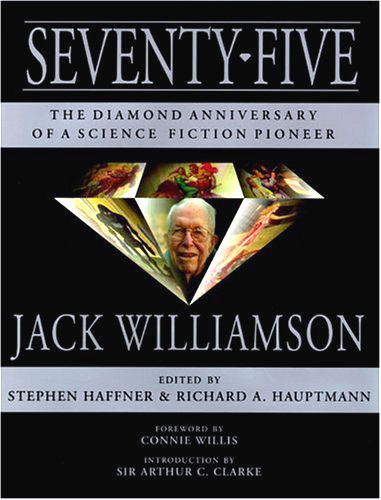 "Any true fan of Williamson's must spring for the massive and classy commemorative volume issued by Haffner Press.Seventy-Five: The Diamond Anniversary of a Science Fiction Pioneer contains copious fiction, facts and photos relating to the Grand Master's life and career." 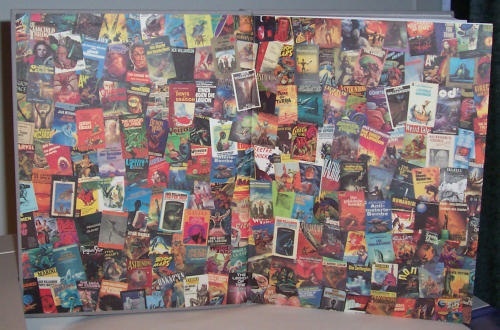 An Unabashed Rave Review: By A Fan. 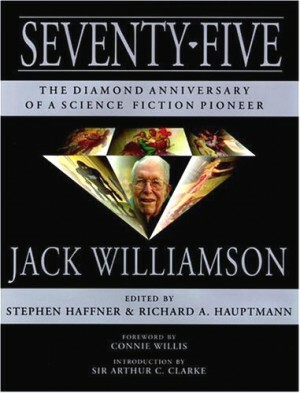 In my modest 3,000 volume library, there is only one book that fits *that* particular bill: ‘Jack Williamson - Seventy-Five: The Diamond Anniversary of a Science Fiction Pioneer’. *Humph*, but enough of all that. Anyone else can, uhm, get it on, too! 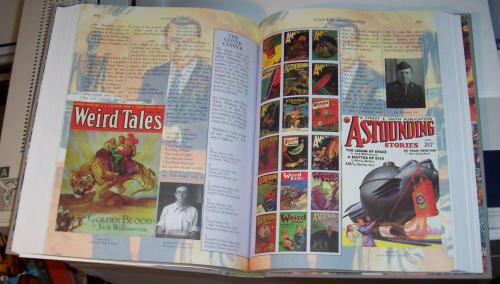 Not the incredibly rare slip-cased version (heh, heh), but the almost-as-good (but not quite, heh, heh, again), trade edition for a paltry 40 bucks. Less money than you’ll spend in McDonalds in a month and better for your waistline! So now you know. You’ve been told. You can’t whine later, ‘But I didn’t know, I didn’t know’ - Get on your horse and go!